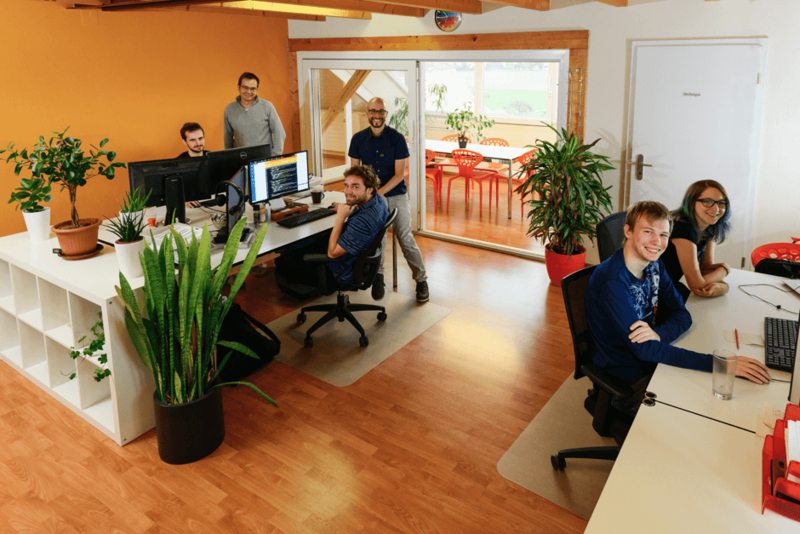 The Web agency, inetis sàrl from Switzerland, has been in business for 12 years. During their business history they’ve built more than 70 websites on Joomla. Two years ago, they made a crucial decision to adopt October CMS. As a result, October is now a primary platform for websites and web applications the company builds. As of today the company has built 25 websites on October and has migrated several websites from Joomla to October. We asked the team to tell us about the challenges they experienced before the transition and explain why October CMS became such a valuable tool for the company and their clients. The company was a very active member of the Joomla community - this includes being an admin on the French forum, member of the Board and speaking on different Joomla events. This experienced team has always been able to develop the highest quality products for their customers. The clients were happy, but there was a growing issue - the development process was taking significant effort. The more clients and work the team had, the less predictable were the time and cost required to complete projects. Making changes was often requiring unreasonable amounts of time and meeting milestones became a hard task for the company. Building custom components with Joomla takes a lot of time. It has its own framework which is much less powerful than Laravel. A specific example is the DB abstraction layer - JDatabase and JTable. Eloquent is much more advanced and powerful. The Backend UI is too complex for clients. When you write a new article, you have more than 140 fields where you only need a title, content, publish state and publish date. One specific reason the team wasn’t happy with Joomla was the poor customizability when it comes to creating editable lists of related records. build your custom plugin - time consuming. use the article and custom fields ­ the data is stored in a key­-value table in text format. use a third-party component like K2, Flexicontent. This adds maintenance costs and the user interface is usually too complex. At some point Pierre-André started to research other options which would better fit the business’s needs. For a company with a steady stream of new clients and projects, switching to another platform was a big technical and business challenge. Pierre-André was looking specifically for a Laravel-based CMS with an existing community and a marketplace. After finding October CMS in Google, Pierre-André tested the platform with a small personal project and was satisfied with the results. The evaluation process for the team took around 6 months. This gave the company enough time to test the platform and see all its benefits and possible issues. The learning process was not particularly complicated. They started with Builder and slowly moved to the command line interface. The team often uses RainLab plugins as a reference and for common patterns when building plugins for their clients. It has a small and flexible core. It’s easy to extend and modify plugins. The configuration is based on files, which makes versioning and deploying simple. YAML configuration files are amazing! It’s easy to create new plugins with a great backend. You can combine Plugins together with trust. All plugins use Laravel models and we are sure that this will not break at the next update. No frontend dependencies, we are free to use the markup we want. That’s a big advantage when you need to build a website certified as accessible, like https://culture-accessible.ch. The team especially appreciates that the platform is based on Laravel so they can apply everything they learn about Laravel directly to October. Switching to October has changed life in the company - the guys are happier now. As Yan (a developer at inetis sàrl) explains - before the transition they often were spending time on activities which were not directly related to the customer’s needs configuring, modifying and applying various tricks to Joomla code. With October CMS they spend much more time coding and making tools needed by the customer. Florent, another developer, says that October provides a lot of tools which help to deal with the laborious part of the website building process and now they can focus on the interesting application logic. If a feature has to be added at the last minute, or something needs to be changed, it is often very easy to implement. October is a friendly fellow that helps you to build great features. For the content, because we can define exactly the data structure we need, we can integrate even complex designs and keep it simple for the end user to fill. The team admits that they occasionally come across minor issues with third-party plugins, but they believe that as the platform grows, occasions like this will become very rare. The company is an active member of the October ecosystem: a silver partner and an author of various plugins. After the company migrated one of their Joomla clients (https://navixia.com/en) to October CMS, the client said that “He left a ‘gas factory’ for a design studio.” “Gas factory” is a French expression to describe something terribly complex. Pierre-André says that with switching to October they have cut the training and support time for clients by 50%. The clients can focus on the content instead of fighting with the CMS. https://www.cine­feuilles.ch/ - a movie review database. https://culture-accessible.ch/ - cultural events announcements for people with disabilities. Certified as accessible. https://zipi-tools.io/ - an online tool for repairing or converting zip, jpa and rar files. https://georomandie2018.ch/ - website for an event with subscription management. https://www.aifr.ch/fr - a public disability insurance, bilingual website. Changing the main tool in a company’s production pipeline is a complicated and scary process, which is often associated with business risks. Finding tools which fit the business is a challenging task that takes a lot of time and research. We hope the experience of inetis sàrl will help your company to make an informed decision. Thanks to digital agencies like inetis sàrl, October CMS has quickly become popular in Europe and North America. Do you want to share your story about migrating to October CMS? We would be happy to tell the community about your company and experience. Email us and tell why October CMS is great!